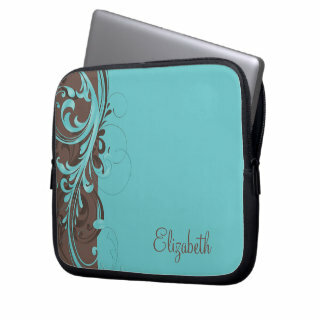 You can personalize the name on this aqua blue and brown abstract floral laptop sleeve. To change the name, use the personalization options on the Zazzle website. A professional and elegant design. Perfect for any woman.